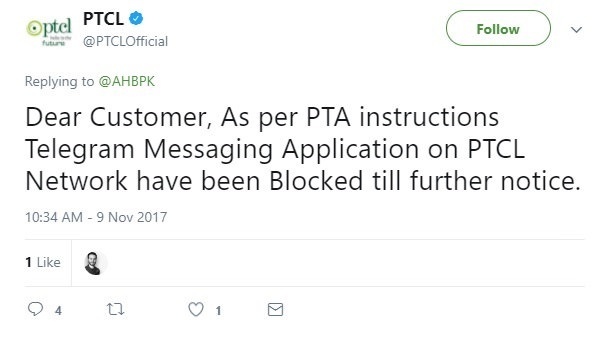 Just heard the news that PTCL has blocked Telegram!!! Strange thing is it is working on cellular and other networks. Blocked on Nayatel too but working on Telenor 4G. There is Signal, WhatsApp, Allo and many other which uses end to end encryption. I wonder if they are next! Anyway I think this is done due to terrorists using it for communication but then Government has been known to use it as a pretext to ban political dissent so you never know.